All your documents, conversations, project history and tasks in a single place. Procorem is designed for the way you work. From documents, tasks, commenting, alerts, and much more. With Procorem our goal is not to replace email, but rather provide you the tools to be more effective at getting work done. At the heart of Procorem is a unique document collaboration infrastructure to help share and collaborate on critical project information a mobile enabled environment. Procorem WorkCenters secure your documents and control the way your team interacts with sensitive information. Email alerts keep your team in the loop for important project updates and powerful document collaboration features such as commenting, audit history, versioning, mirroring documents, and multi-file upload provide an intuitive framework for document collaboration. With Procorem’s document collaboration tools, your team will spend less time hunting through emails and searching for the right version of documents to get back to focusing on adding bottom line value to your business! Ready to start being more productive? Sign up today, we can get you started in minutes! Store, share, and collaborate on your project documents in a secure, digital location. Everything’s in one place so information is easily accessible to both internal and external parties. Integrate Procorem tasks with your document collaboration process to keep your team on track. Assign to multiple team members, integrate custom approval processes and more! Document decisions, questions, versions, and comments are all tracked and recorded to keep a comprehensive record of all document activity. 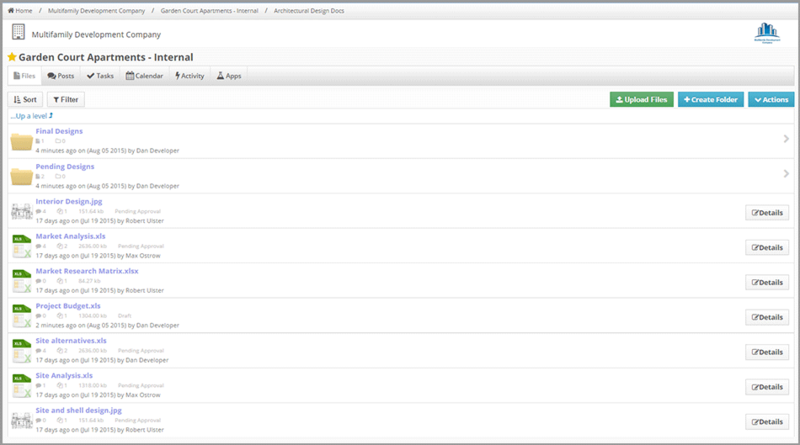 Document activity is completely integrated with email. Users control frequency and can respond directly and information is stored back into Procorem for auditability. What else can Procorem do?